We have tackled the question of automation before, but his time I want to focus specifically on what automation will mean to the job of the supply chain planner. If you have been reading this blog you have seen statistical evidence that the planner’s role is becoming more computer-enhanced at leading companies, with less spade work and far more efficient. Lennox Residential achieved 99.7% no-touch, computer-controlled planning and replenishment—planners have to intervene in only three out of every 1000 planning decisions. 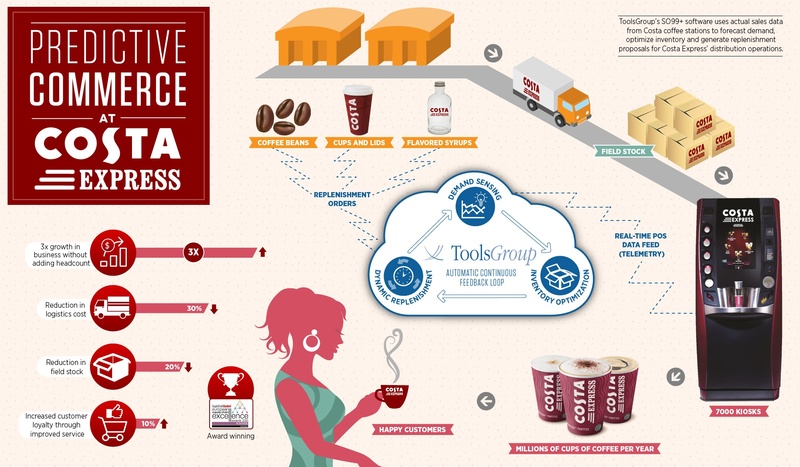 At Costa Express, one person plans 7000 points of sale (POS). Internet retailer Wayfair reduced their planning workload by a factor of six through low-touch forecasting and planning. Most of the productivity gains described above were enabled by technology improvements. These planners are working more in tandem with the computer as a teammate, rather than purely as a decision support tool. 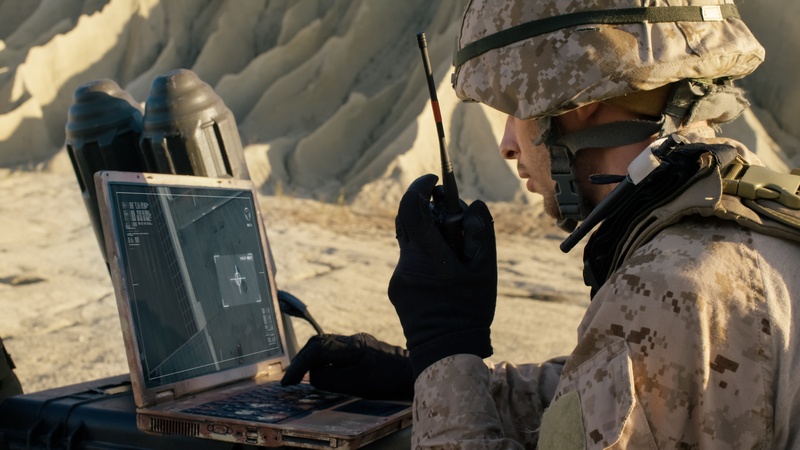 Think of a modern soldier – no longer a “grunt” – but outfitted with technology, connected with the outside world, and even supported by semi-autonomous systems such as drones. Tim’s perspective fits well with the trend I am seeing, as illustrated at companies like Lennox and Costa described above -- Highly automated day-to-day planning and response, coupled with more manually-intensive analytical work to make the bigger decisions. The diagram at the right shows the software making thousands of "subconscious" decisions on its own while the planner remains a step removed, making only "conscious" decisions. The first part of this prediction is easy. Even setting aside all the hype right now around Artificial Intelligence (AI), the fact remains that the use of machine learning, at least for demand analytics and demand management, is growing and accelerating. But contrary to some predictions, I don’t see supply chain planners becoming “data scientists” or anything of the sort. My analogy here is mobile phones, cars or wall-mounted thermostats that contain machine learning. Do you need to be a data scientist to use them? Of course not. You may not even know the technology is there. And that’s exactly what I am seeing in supply chain planning. One client who implemented machine learning for improving their spare parts demand forecasting told me that many of their users aren’t even aware of the machine learning technology inside their system. And those users’ jobs are much easier in many ways. Tough intractable problems that once took long hours to solve and often yielded sub-par results (only to be sorted out later) are now fewer and far between. Lora Cecere envisions the planner coming in the morning and being greeted by their supply chain planning system with an update about what happened overnight highlighting key news and focusing on a descriptive analytics reporting what happened, predictive analytics that predict what will happen and its business implications, and prescriptive analytics suggesting the best course of action. All the pieces of technology for her scenario already exist in some form or another. Looking at the above description, it’s not hard to see that the job will be different enough to require personal development. Think of any job impacted by advances in computers and information technology. The technology changes the job, making some skills less important and favoring others. For anyone who can migrate to higher value-added activities though, it can be an evolutionary change through personal development. For example, in my own experience as a marketing professional of more than 30 years, I have seen dramatic technological changes such as marketing automation systems, social media and web analytics. I saw the introduction of email marketing and PC-based graphic tools that dramatically changed our work life and path to market. These have added an order of magnitude more power, efficiency and reach, even though many marketing fundamentals haven’t changed. If supply chain planning professionals can adapt, there is a great upside opportunity.